I had meticulously planned this blog post in a week’s advance, however, it feels like it has organically manifested itself into my agenda, a need instead of an obligation. That doesn’t mean these words are easy to muster. This prompt would only suit today perfectly if I where in the midst of this, in the midst of a negative spiral. Now, many things are going wonderfully in my life. I have been able to publish my podcast, The 12am Writer, along with establish a regular uploading schedule for all the projects I am managing on my author platform. Still, there remains an irksome aspect of my personality, a gnat in constant need of swatting. This negativity affects us all, but I feel it is especially potent for the creatively inclined for a number of reasons. Artists, emerging from a variety of individualistic paths, tend to be deeply connected to their feelings. The act of creation is the act of refining the daily hustle of life, of honing it into its most abstract and human form. I constantly ascribe meaning to fleeting thoughts, excessively pondering their nuances due to my tendency to feel my way through life. 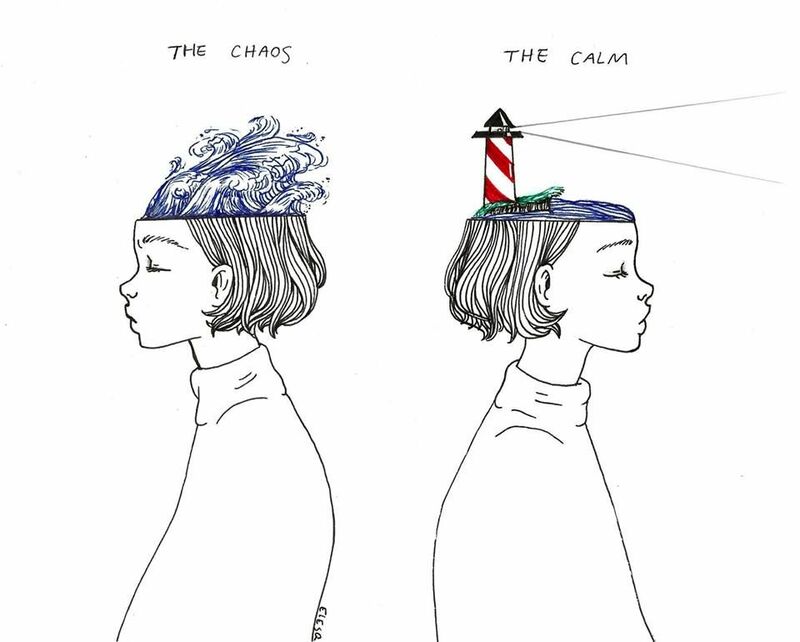 Deep thinking and overthinking are delicately intertwined, allowing one to quickly slip into a faulty cycle of anxiety and fear. It’s terrifying, manifesting your creative concepts, making ideas into actions. This paralyzing state topples your rational thinking with a plague of instincts. Your handed a quick fuse and a desire to jump out of your own skin, to stop the process halfway through, to not push past the muck to reveal the artistry buried beneath your mental blockades. I am not a salesperson or a miracle worker-I am not going to sell you a list of DIY solutions, simple one liners to free you from the clutches of an eternal enemy. Instead, I am going to provide you with an approach I learned from Elizabeth Gilbert, one refined from my time staring helplessly at a blinking cursor. It is to release control. I am not telling you to bottle up your feelings or to avoid reaching out for help, especially if it is more than a slight amount of worry or sadness. I am referring to an act of acceptance, an acknowledgement of the fact that there will always be that voice, a fiery voice shouting that you’re not good enough, this thing you’re doing is not good enough, that if everything is not perfect then it is not worth embarking on at all. This little, angry person, is not mad at your, or even at your work. It is scared, terrified of the uncertainty, the uncertainty of how your art will be perceived, how you will be perceived by your peers, by your admirers. What this little person hates above anything else is feeling out of control, which is why it loves to keep your dreams in the clouds, where they are safe from judgement. But what is worst-jumping and not reaching the stars, or staying on the ground as you watch your ambitions float up without you, a helium balloon you released into the abyss?